Identifying accolades and prestigious awards, set standards for institutional excellence and recognize accomplishments of your faculty. Profiles started out as a platform to let faculty easily describe all their teaching, research and service activities. Furthermore, it made these activities available online, for other faculty, students, industry and community partners, to easily search and find. A university is greater than the sum of its parts. Research center, equipment, laboratory, facility and technology profiles complement your people profiles to provide a complete and holistic view of the institution’s resources, expertise and capabilities. Don’t just search – Discover! Real-time, full-text search with restful api allowing for integration with any website or third-party application. REST APIs provides a simple, platform-neutral, high performance, stateless network interface to the public profile data. In other words using the REST APIs you can make any other system read data in Profiles directly from the browser or any other remote application. Administrative options, complete access to the entire source code and granular level control of the data makes the system fully customizable and adaptable to your unique requirements. Leverage your investment in Mentis by getting other apps or creating your own apps. All apps in Mentis also interact with each other, and with other third-party systems, via services. Data generated in one app can be easily consumed by the other thereby reducing data redundancy and improving the overall integrity of data. How do I initially populate Profiles? All of our plans come with sophisticated import tools that allow you to easily populate the data using simple excel file templates. If you are opting for any of the paid plans we offer an exclusive Service Desk that can take faculty’s CVs and use it to populate the system. Not only does it take the stress out of keeping the system up-to-date, but also, more importantly, saves faculty time. Do I have to buy complete Mentis suite to get Profiles? No, Mentis offers an a-la-carte menu of applications so that you can subscribe to and use only the applications required by you. 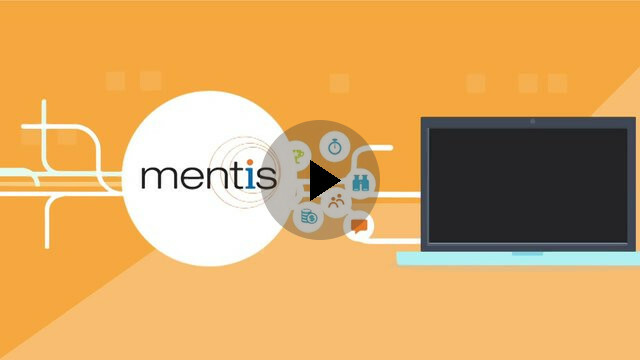 However you will achieve maximum benefits if you use Profiles along with other applications in Mentis as all applications in Mentis are highly inter-operable. I am an existing customer of an earlier version of Profiles. How do I upgrade? For existing customers of the Profiles app in the Profile System we may have special pricing plans and discounts. Please contact us or drop in a line at [email protected] . Is there way for me to try before I buy? You can try out Profiles using our free Starter plan. We can guarantee you will be hooked. Once you are ready to upgrade you can choose from between our Plus and Premium plan.